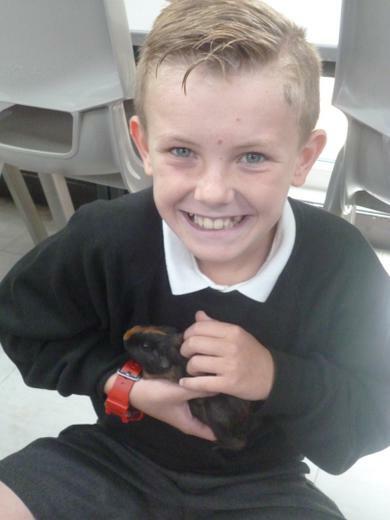 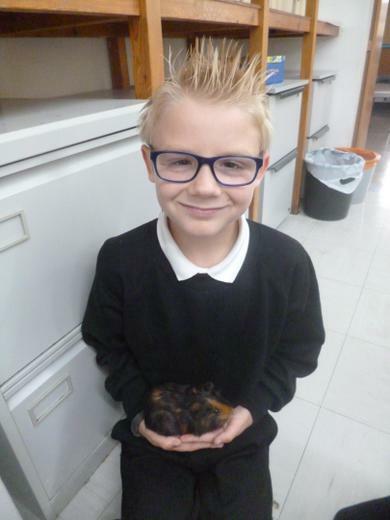 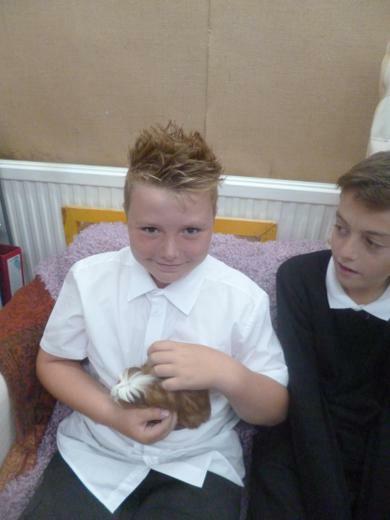 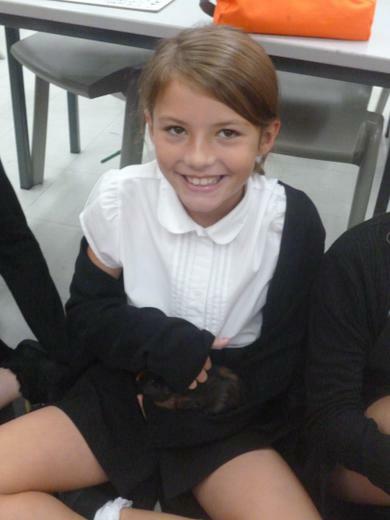 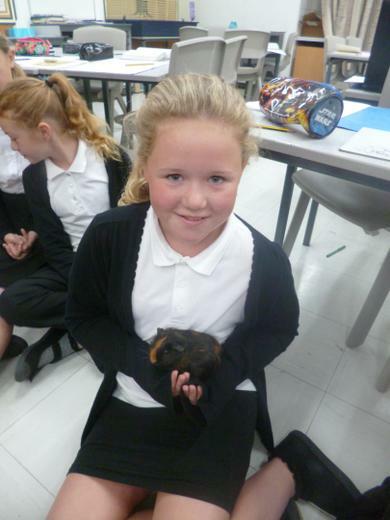 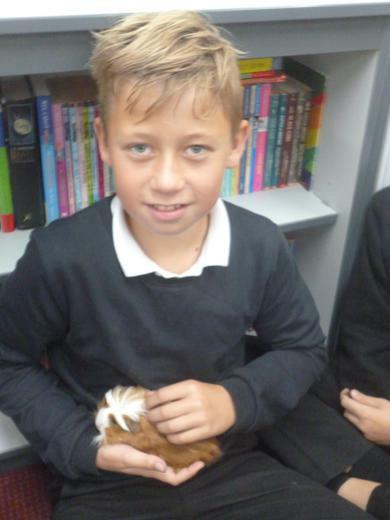 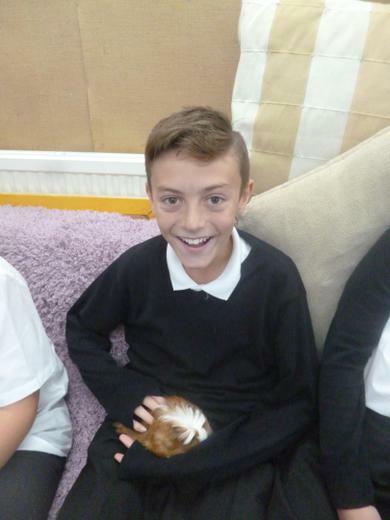 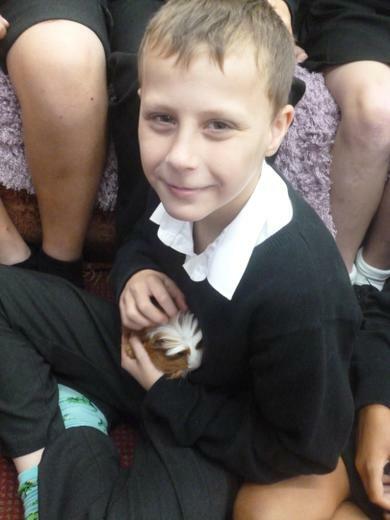 What a fantastic start to the Year we have had in Class 6. 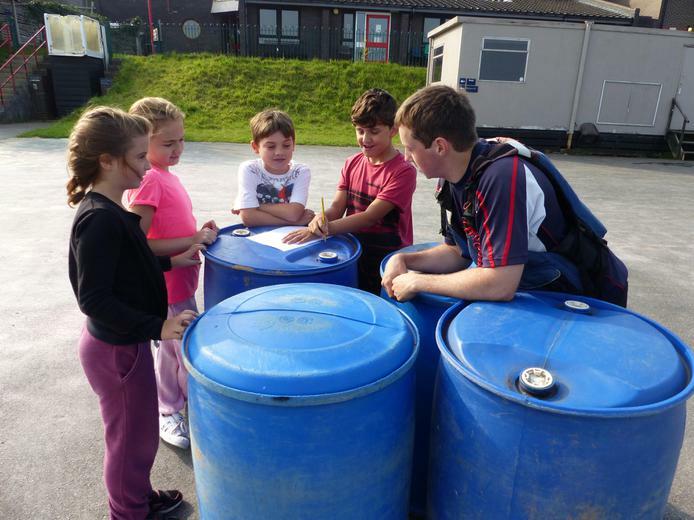 We spent our first week conducting hands on, outdoor Science activities researching and investigating the best habitat for woodlice. 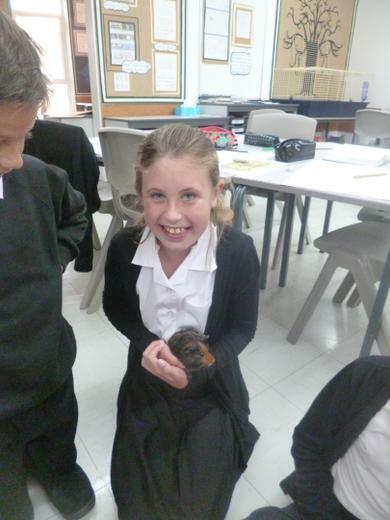 With talk partners the children designed and then conducted their own experiments. 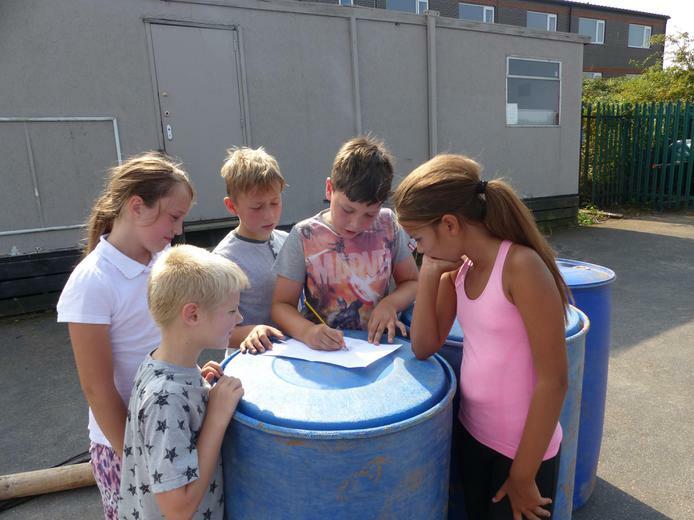 They also went on to write their own adventurous poetry, based on the animals that they’d found in the wildlife area and then created unique collective nouns to suit. 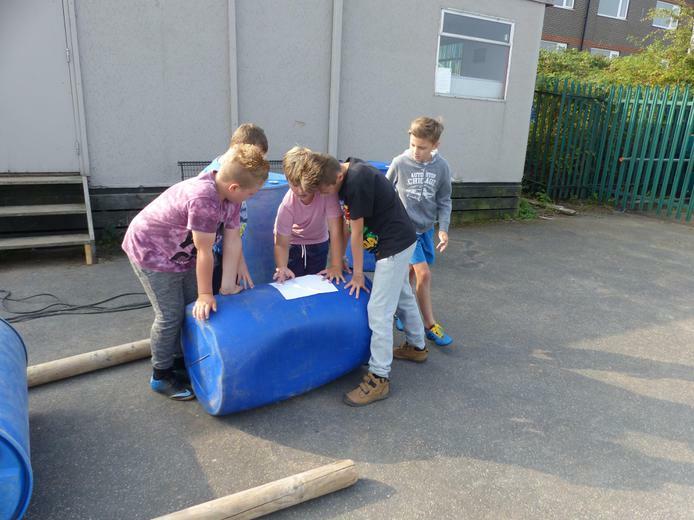 Our topic this term focuses heavily on team-work and in the first week children worked in groups to plan age-appropriate games for their brand new reception buddies, which went down a treat! 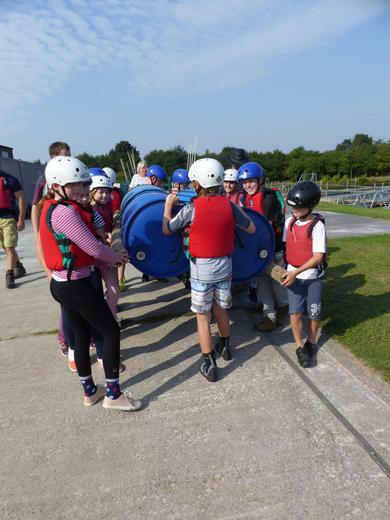 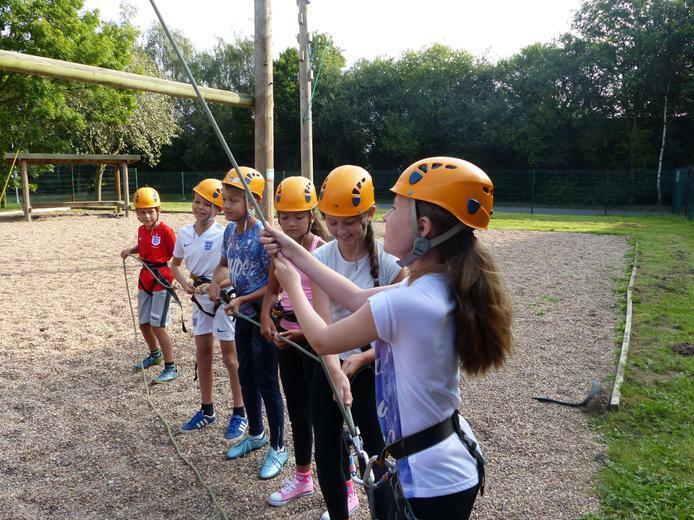 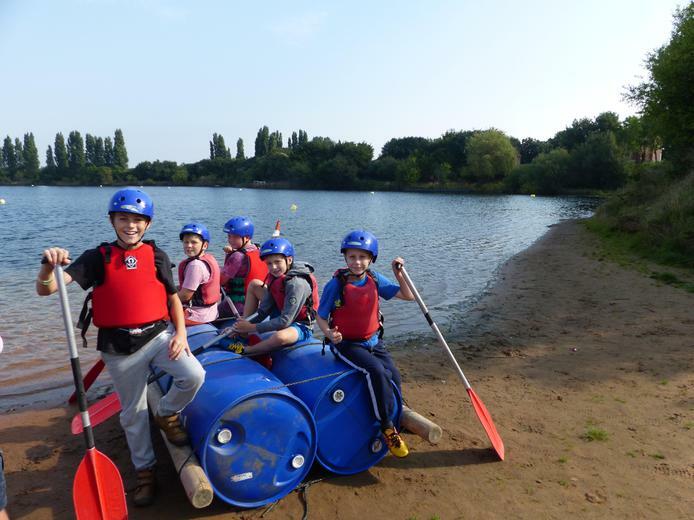 The second week brought with it new adventures, inspired by our topic title ‘In it together’ Class 6 visited Hatfield Water Park. 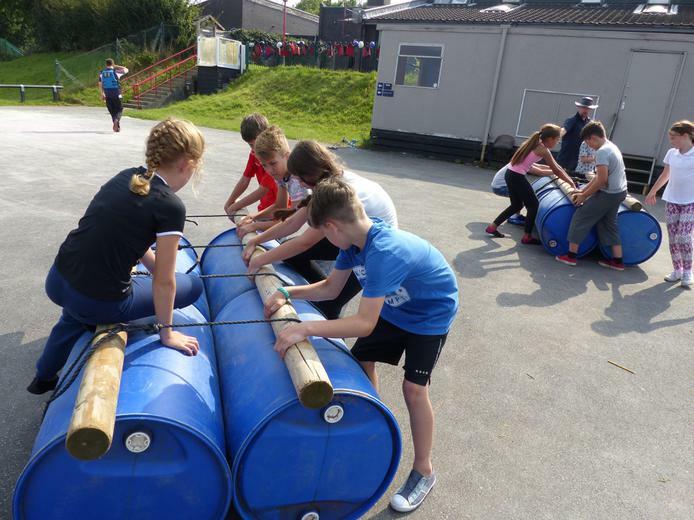 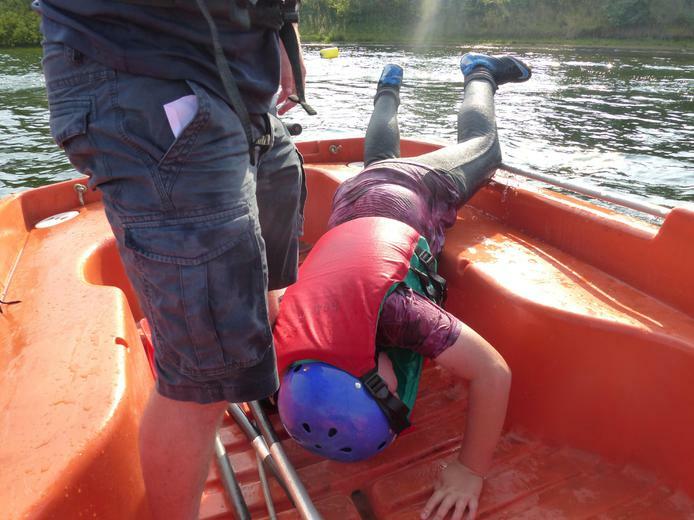 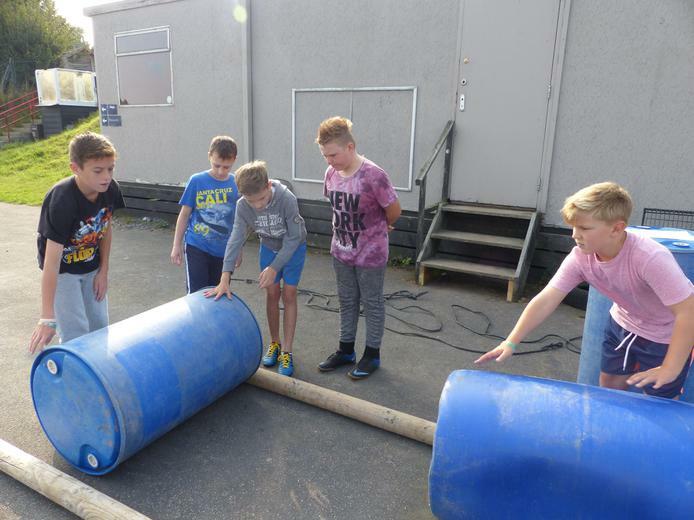 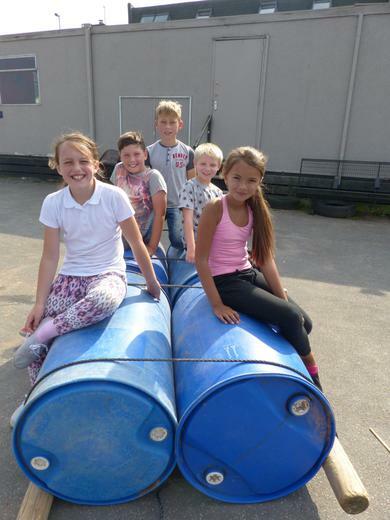 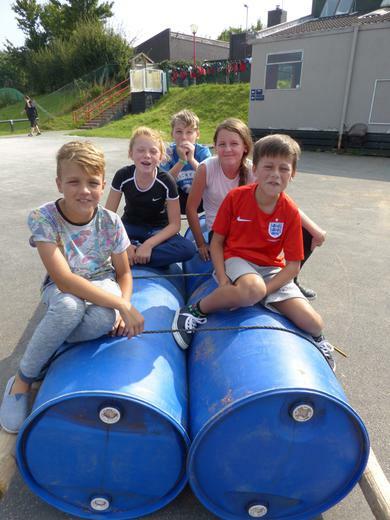 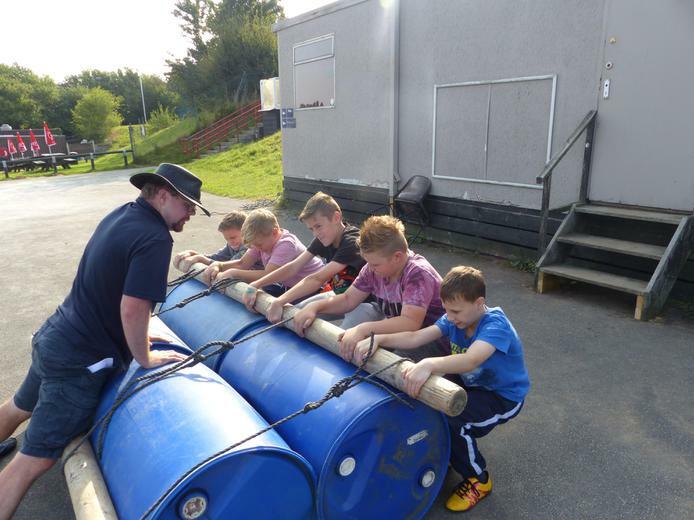 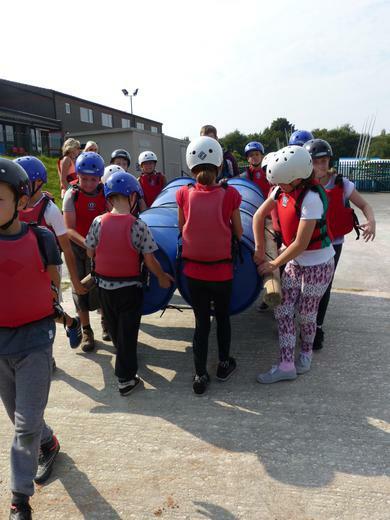 Here the children built their own rafts which they then had the opportunity to try out on the water, luckily they all stayed intact but not many children remained dry! 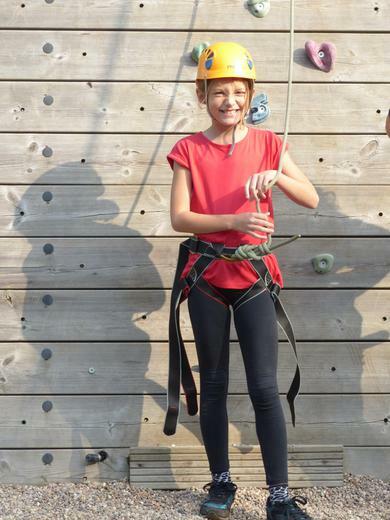 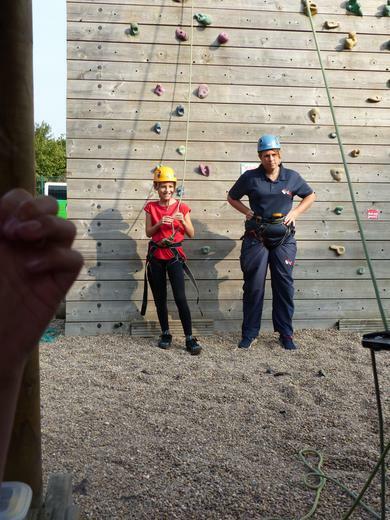 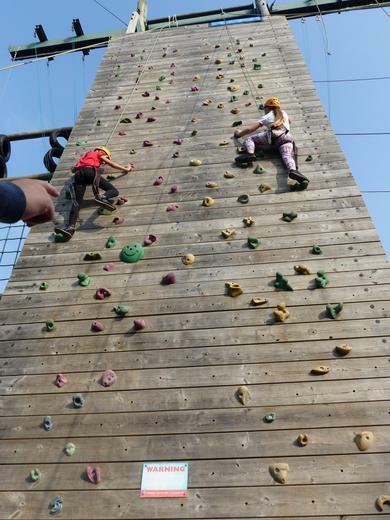 The children also had the opportunity to try out their Spiderman abilities on a climbing wall. 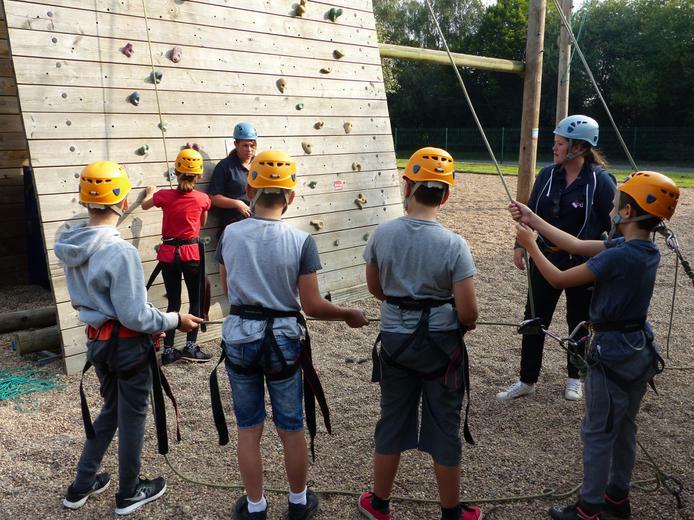 It was lovely to everyone working together to encourage those less confident than themselves. 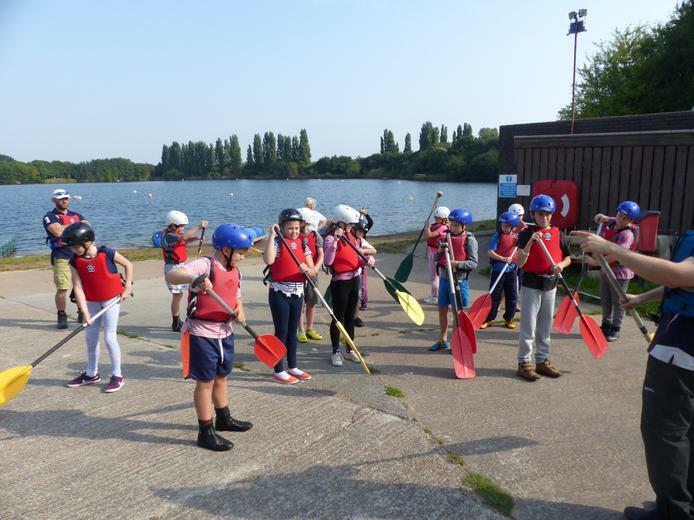 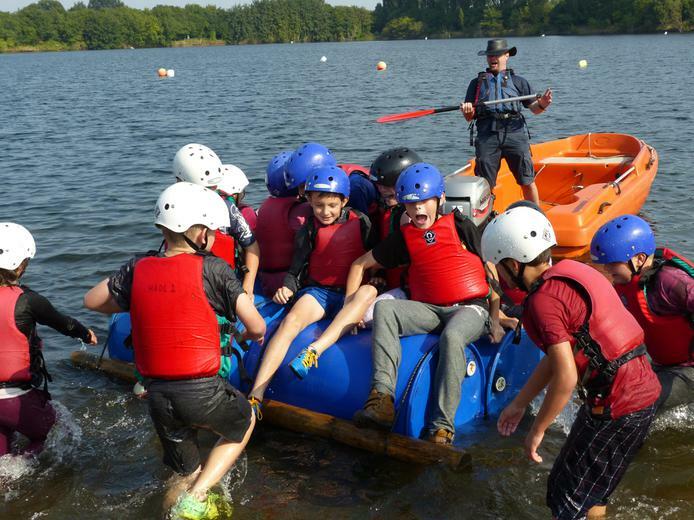 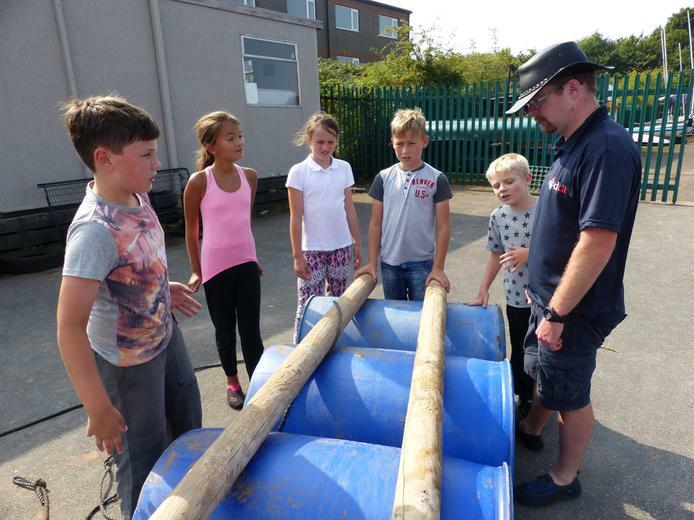 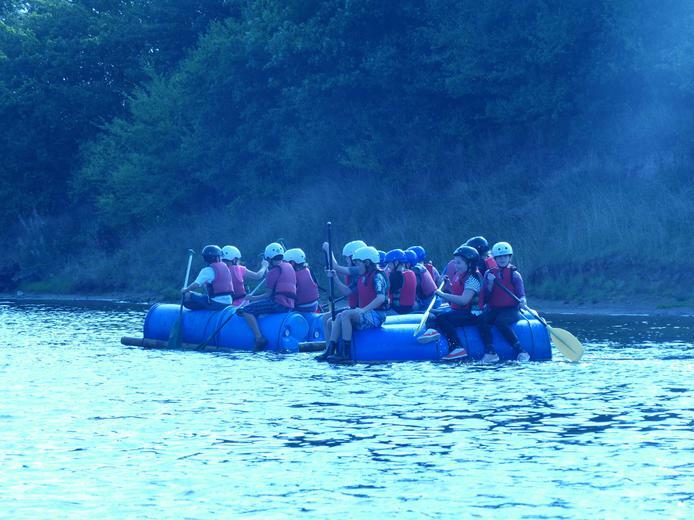 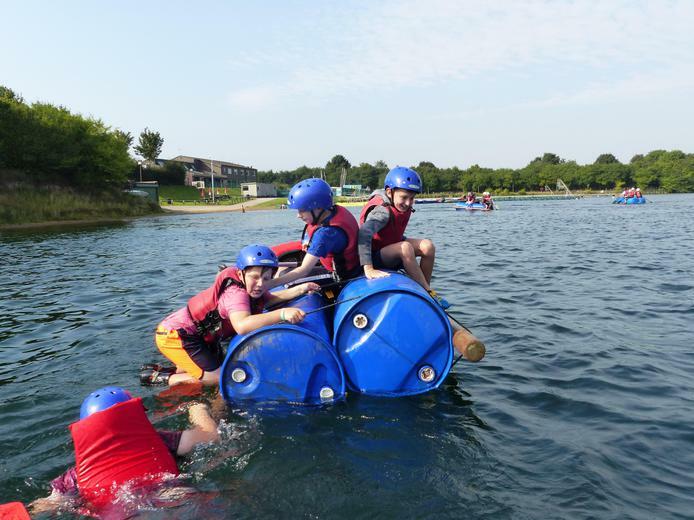 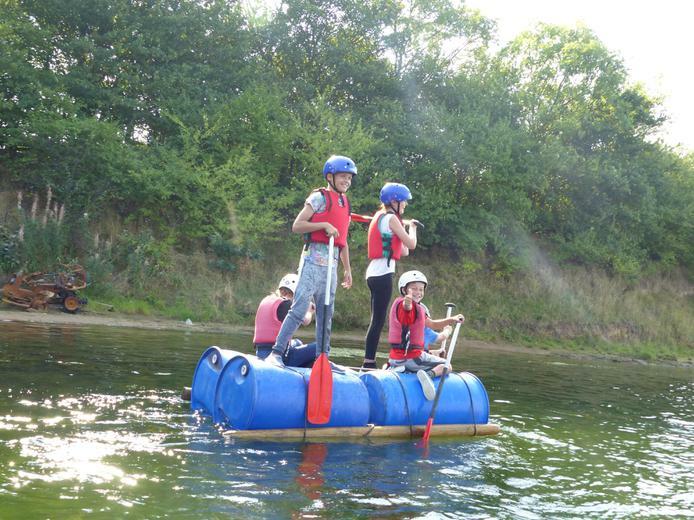 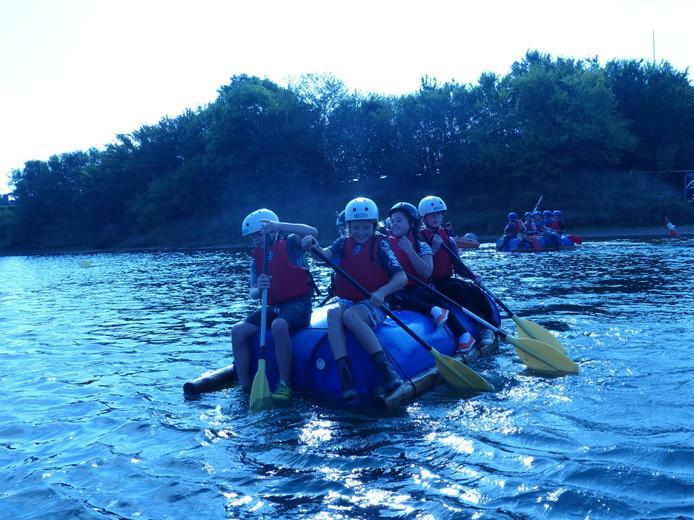 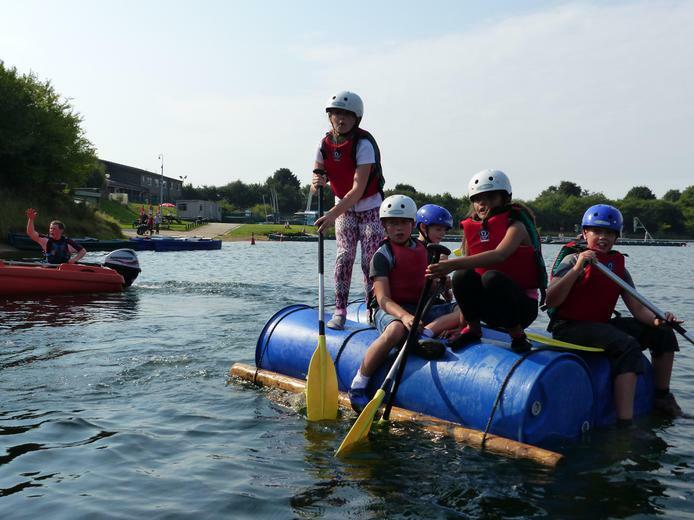 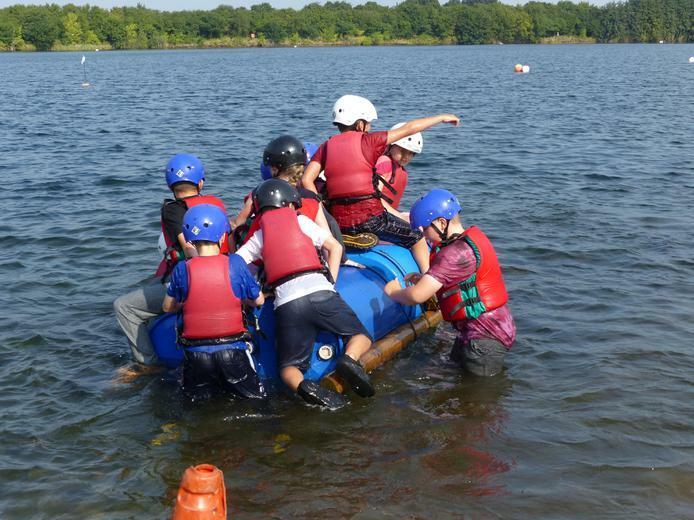 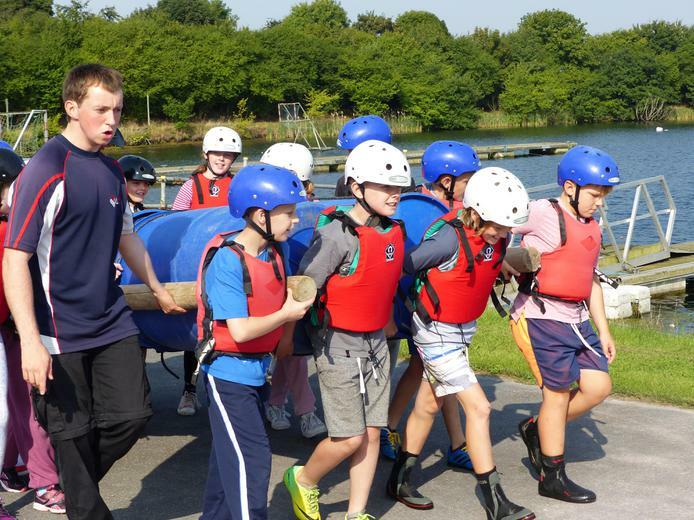 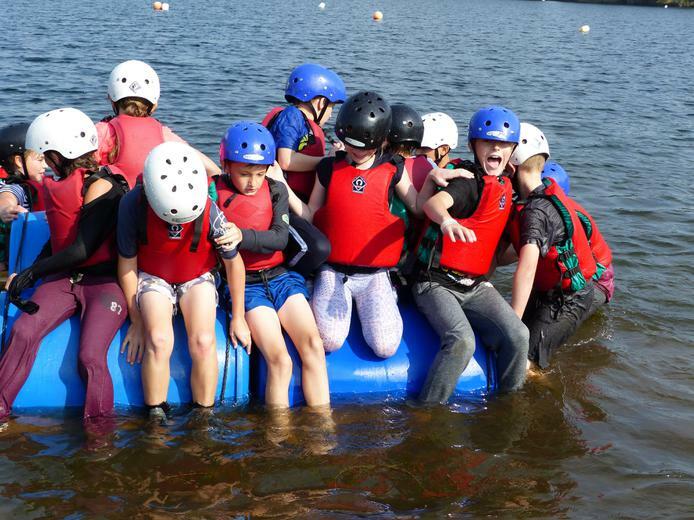 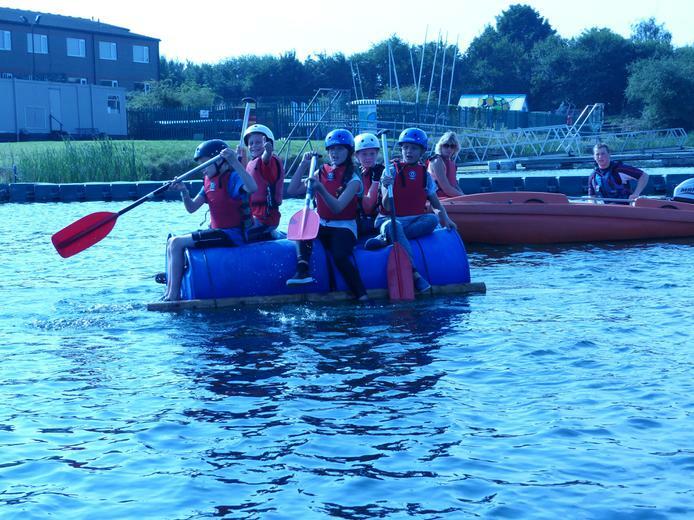 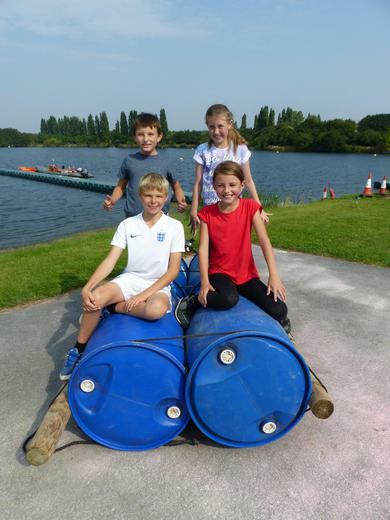 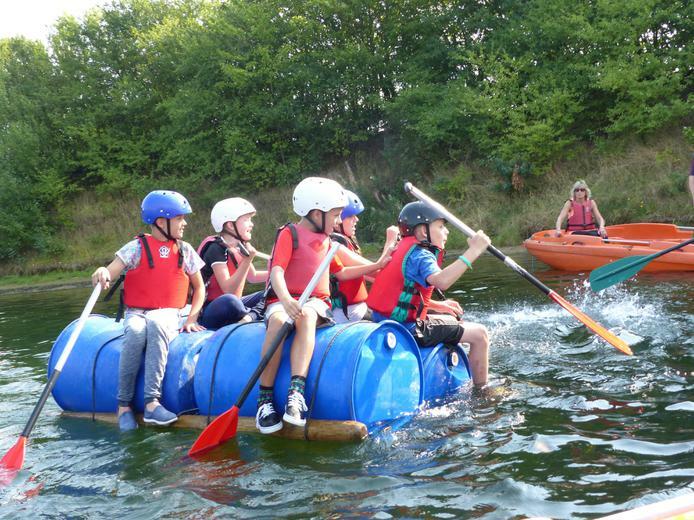 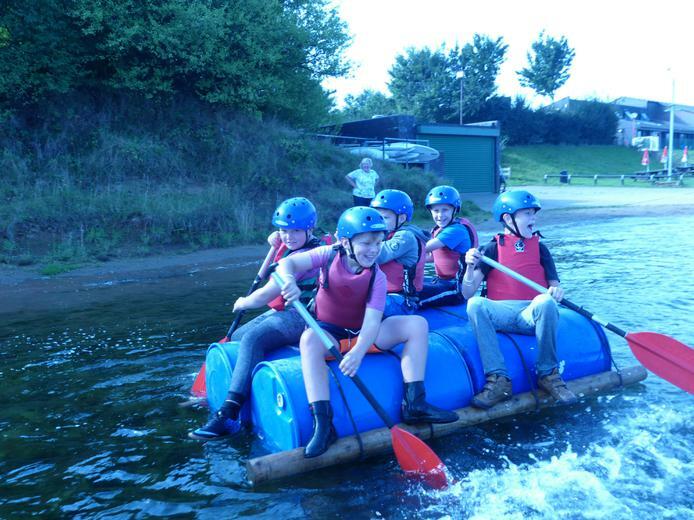 From the trip the children will be writing balanced arguments on the pros and cons of visiting Hatfield Water Park, will be creating their own miniature raft for a science experiment and will look at artwork inspired by the theme of water. 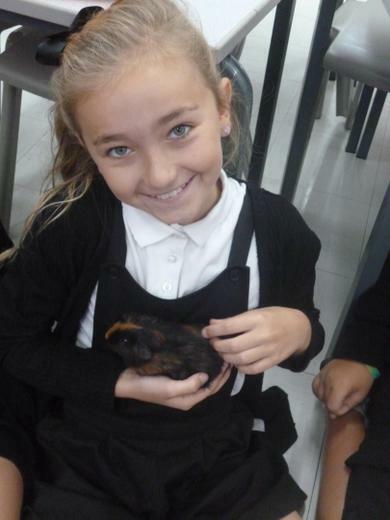 Later in the term we will also be looking at the work and theories of Charles Darwin and will investigate the Cavidea family, looking at the adaptation of its members. 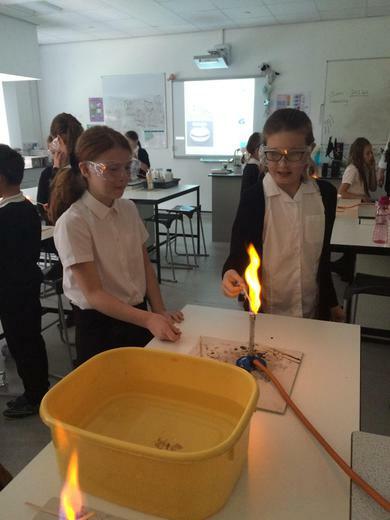 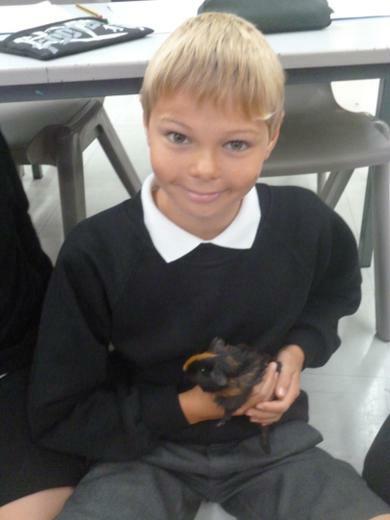 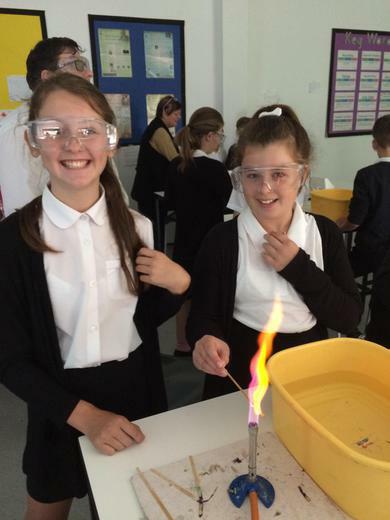 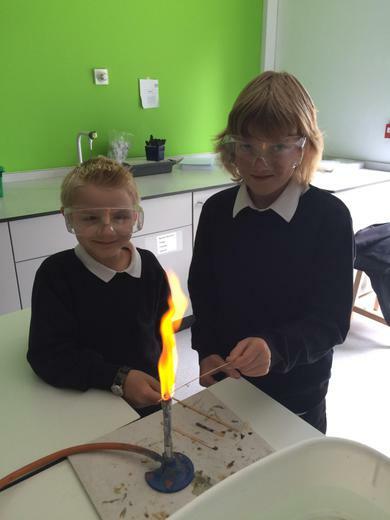 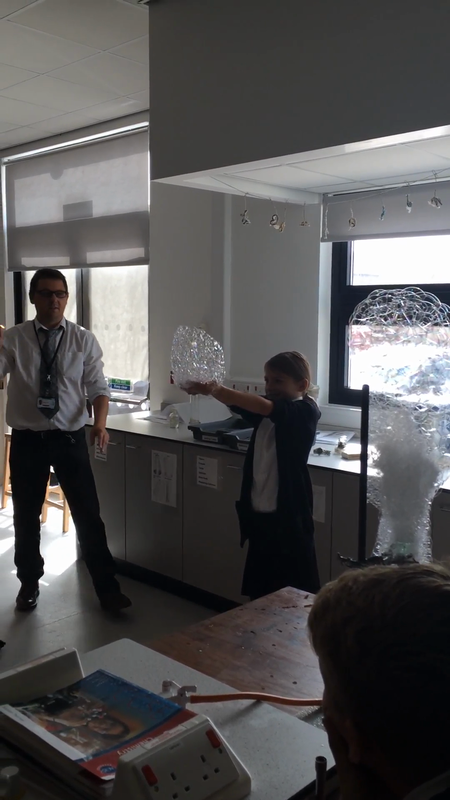 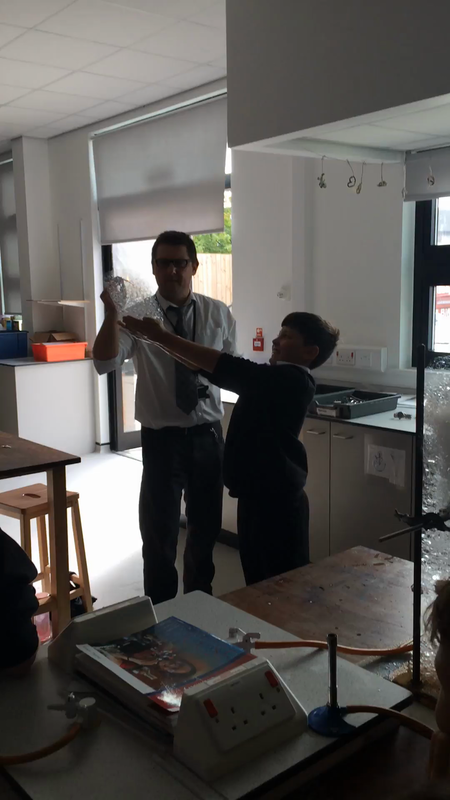 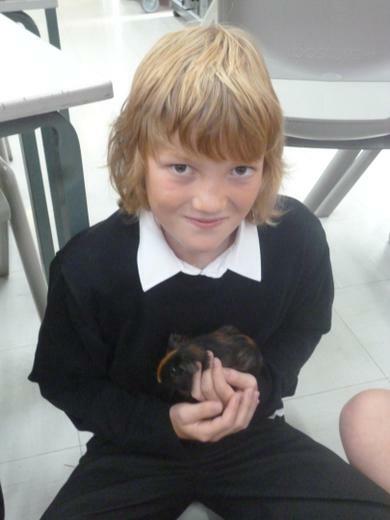 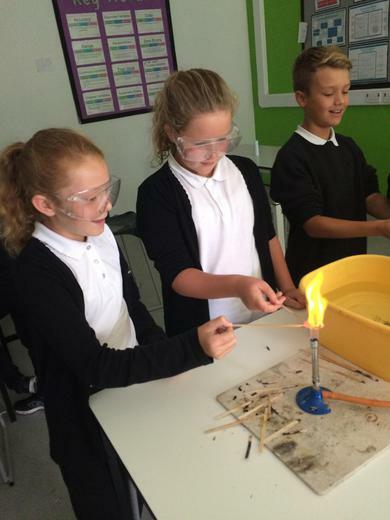 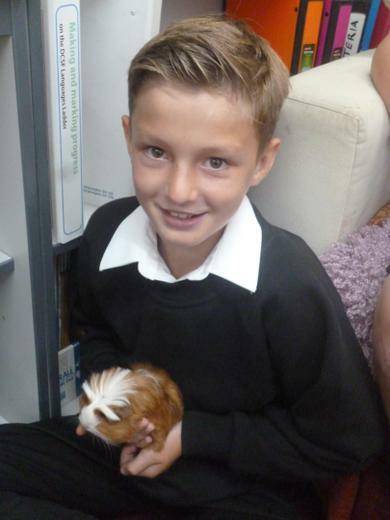 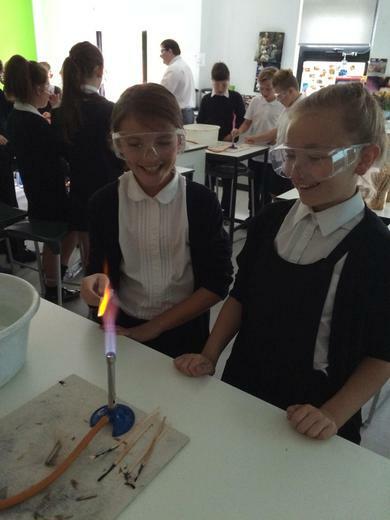 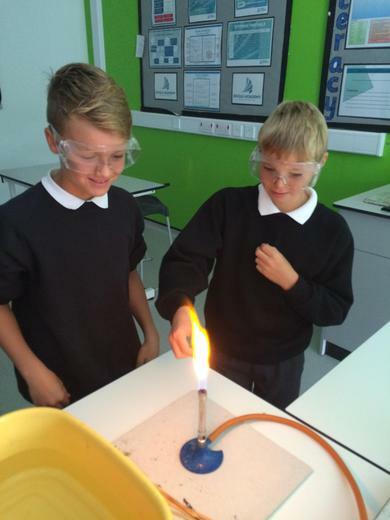 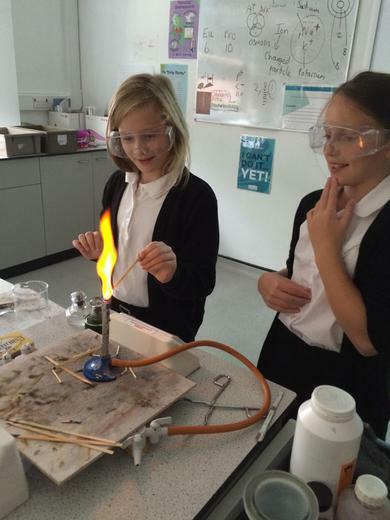 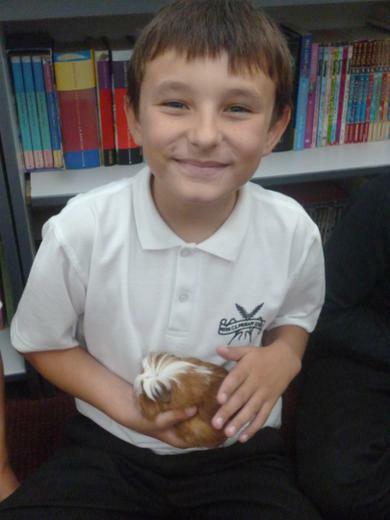 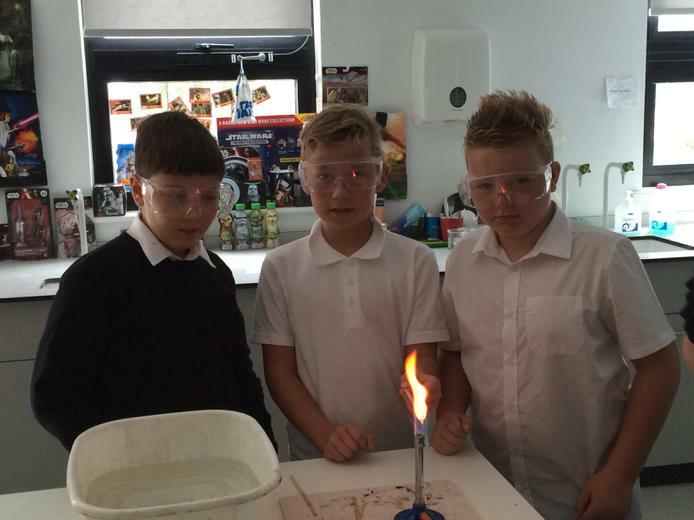 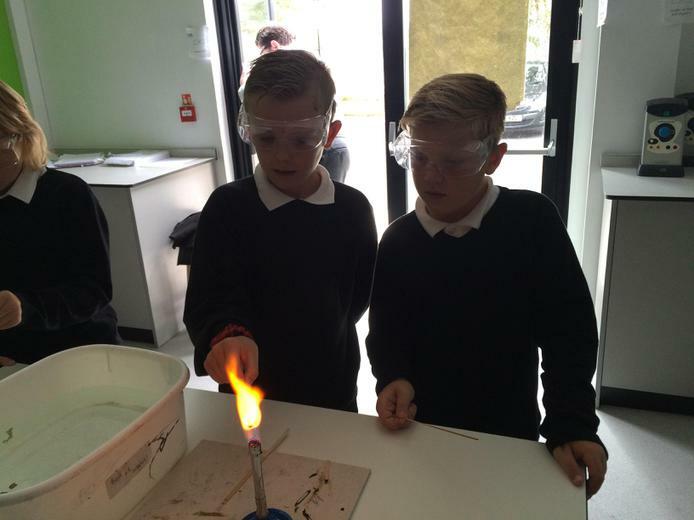 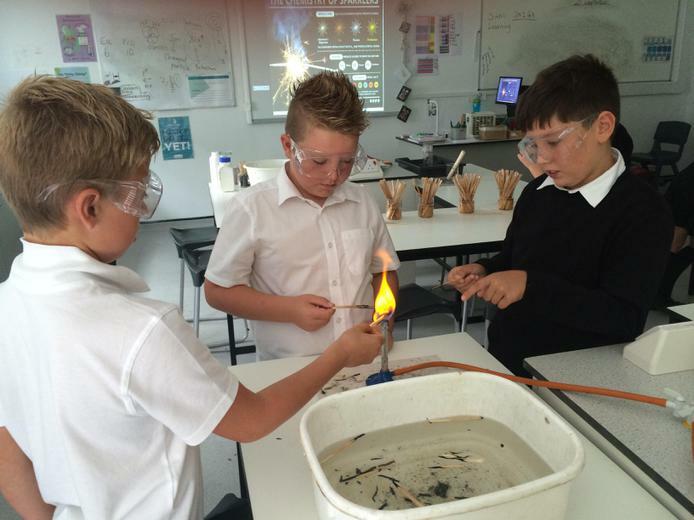 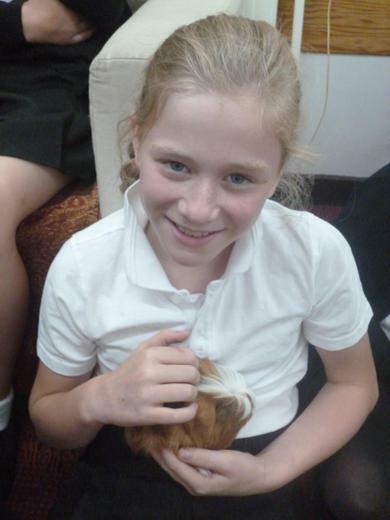 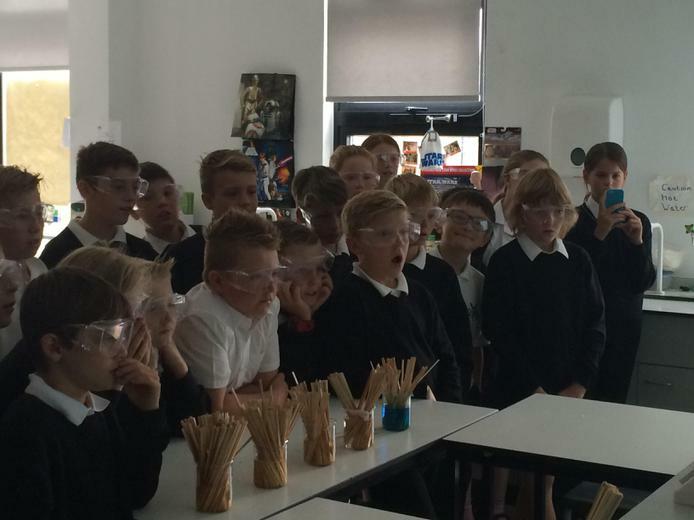 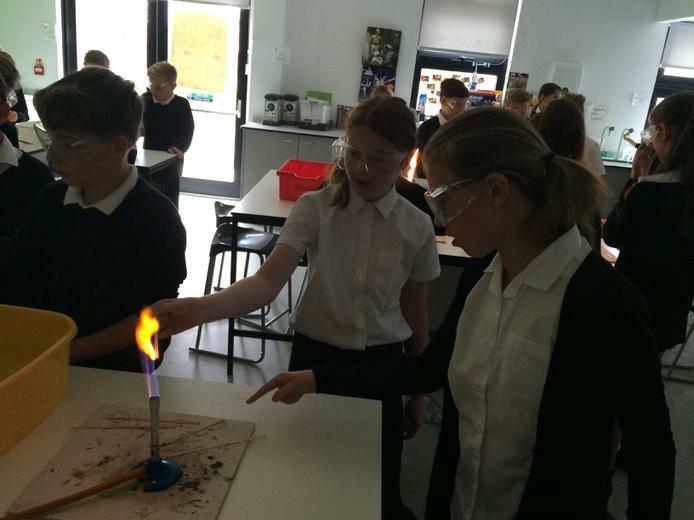 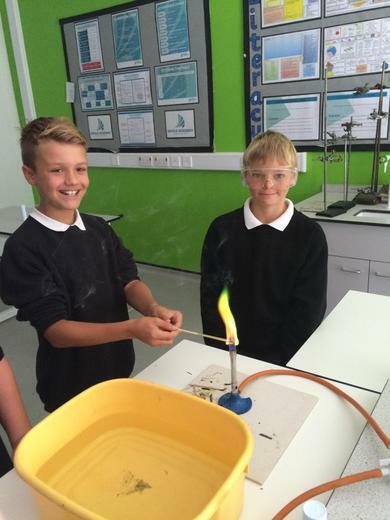 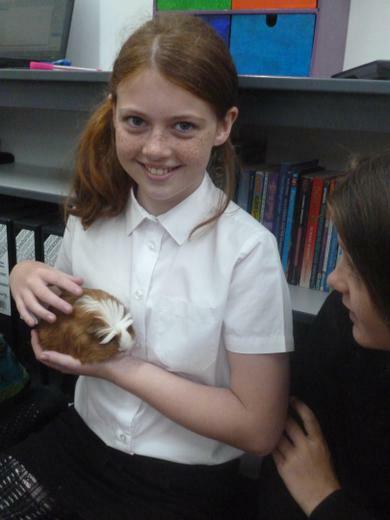 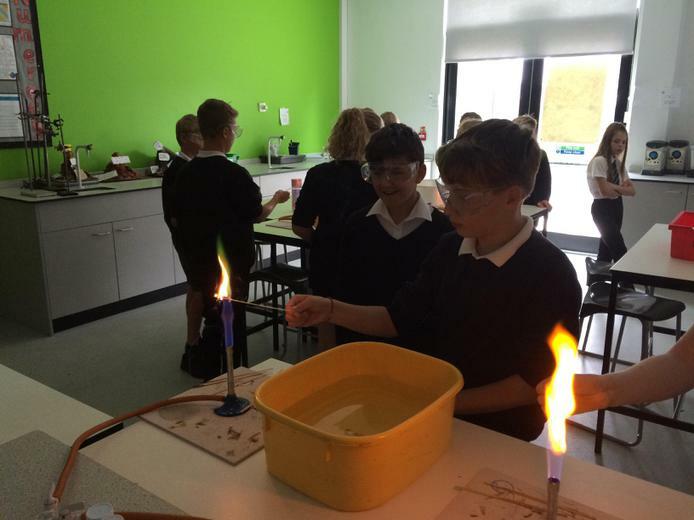 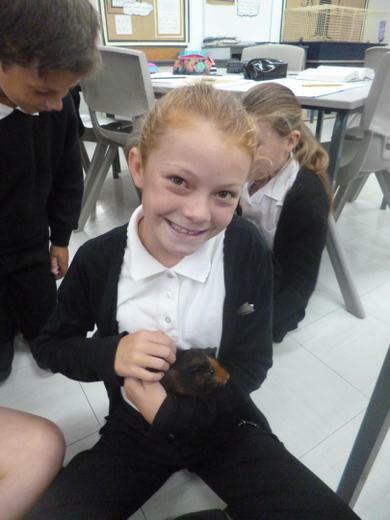 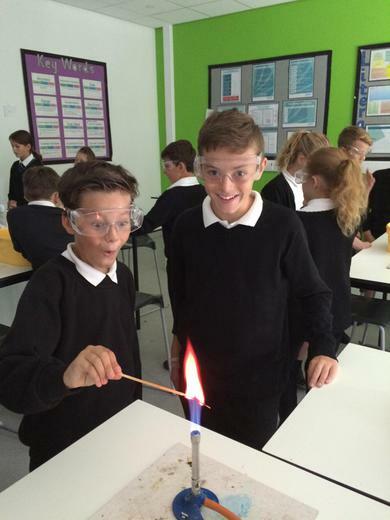 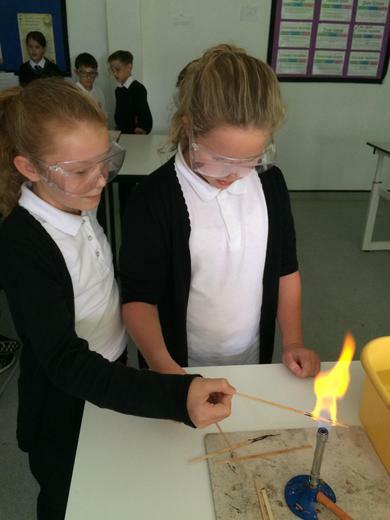 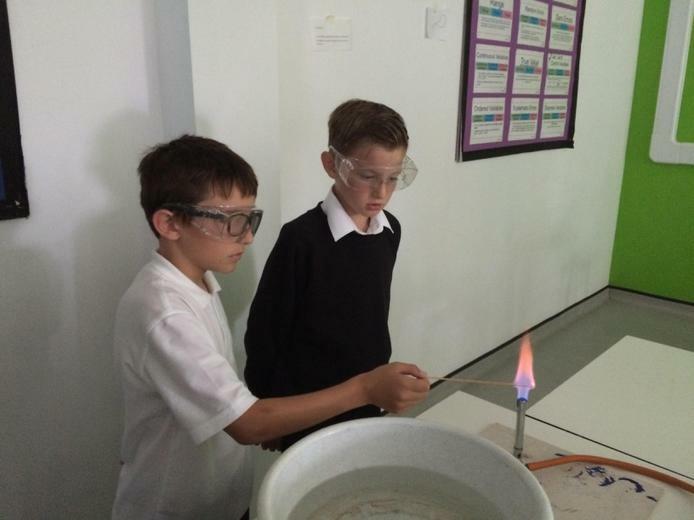 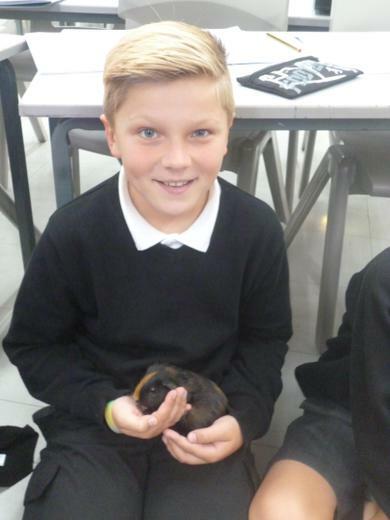 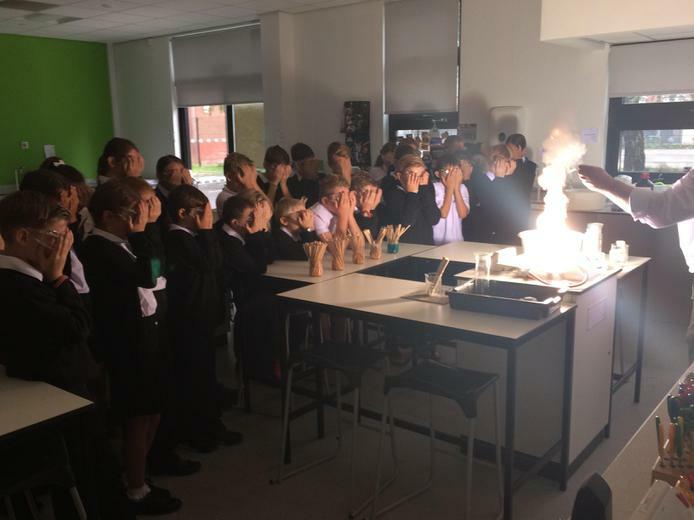 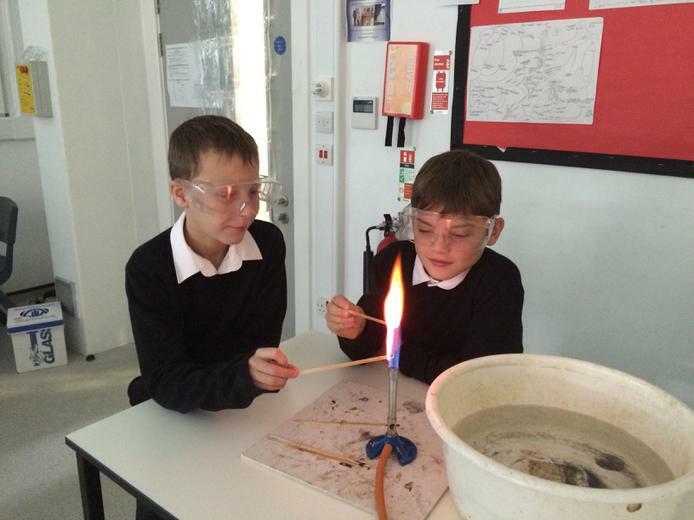 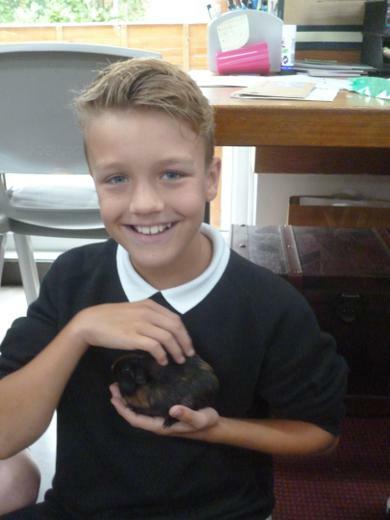 Year 6 provides lots of exciting opportunities throughout the year. 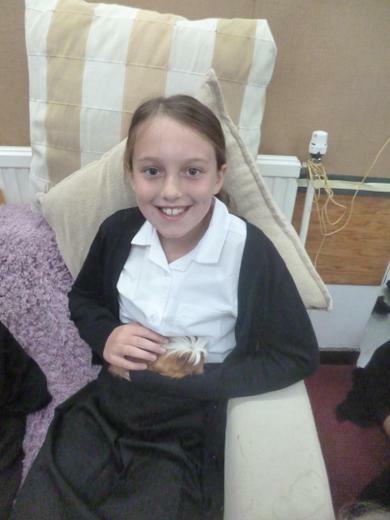 Within school the children have already applied for and have started working on their school jobs and some members of the class also put themselves forward to be on the School Parliament, presenting their speeches to the whole of Key Stage 2! 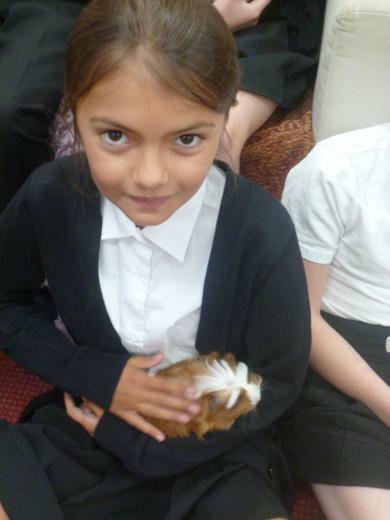 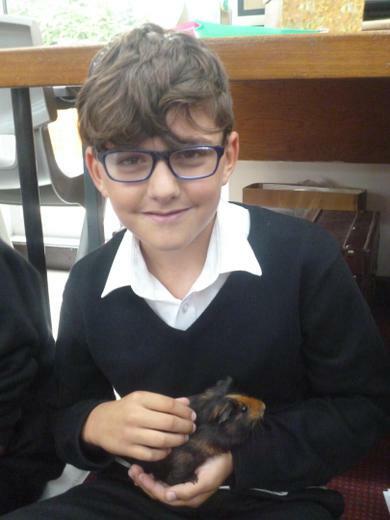 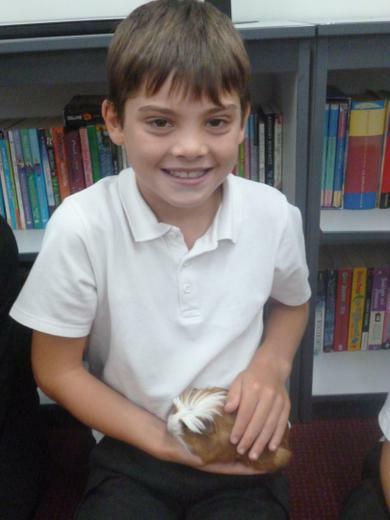 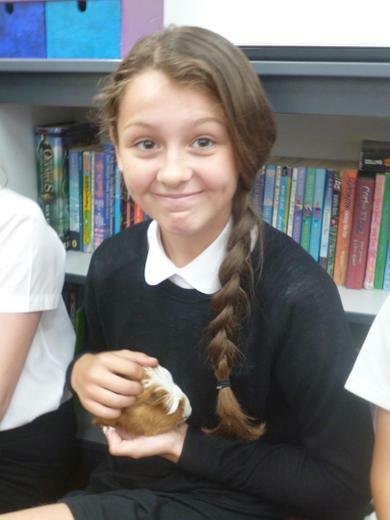 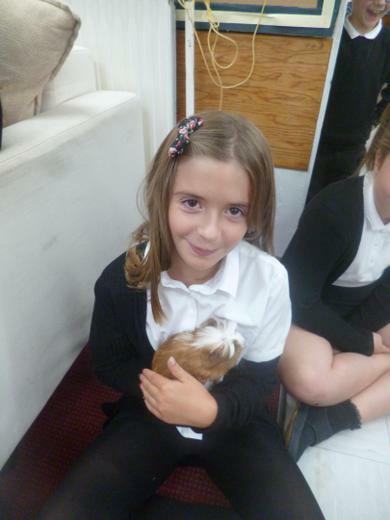 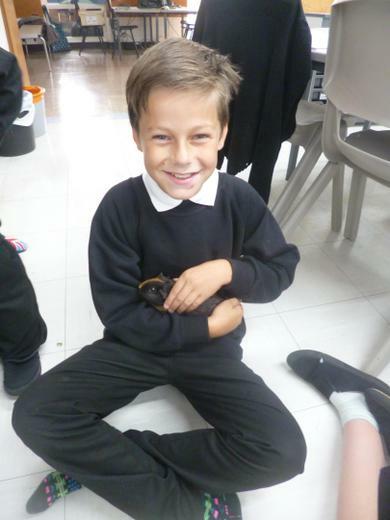 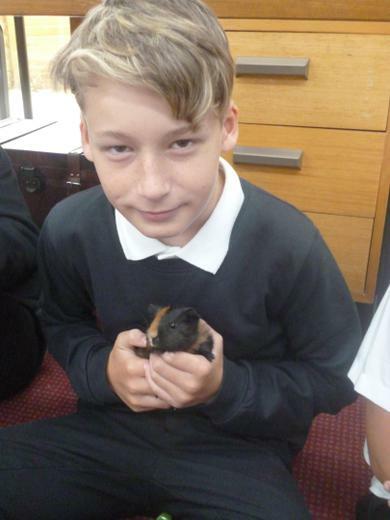 Finally, we would like to introduce you to our two new furry members of the class, Coco and Chanel (names chosen by the children). 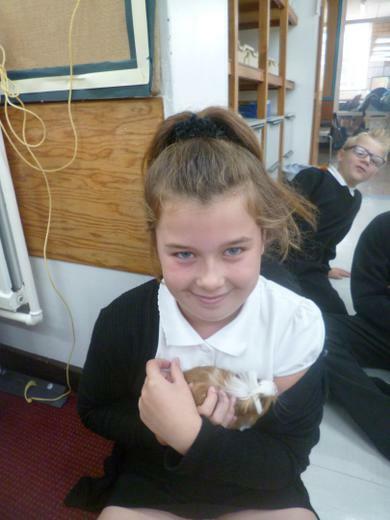 They are currently mastering the most inappropriate times to squeak!